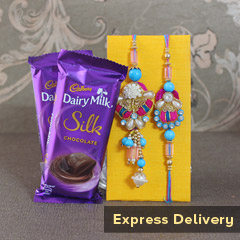 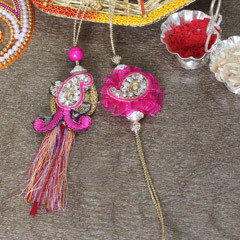 This bright and sparkling Rakhi set for Bhaiya and Bhabhi is an ideal choice if you want to dazzle up their wrist with lots of shine and exquisiteness. 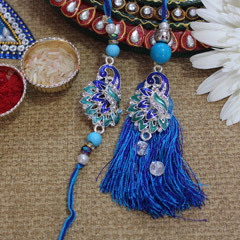 It’s the wonderful Bhaiya Bhabhi Rakhi set that is been crafted with use of sparkling stones, colored net ribbon, pearls and zari lace as well. 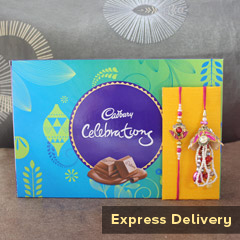 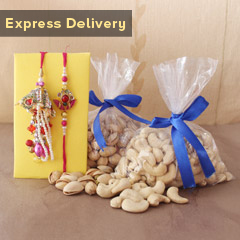 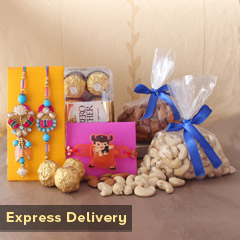 You can buy it here and strengthen the bond of love with your dearest Bhaiya and Bhabhi.